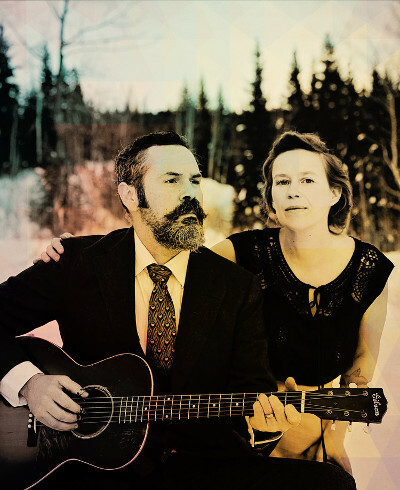 Singing vibrant duets, writing deadly songs, playing handmade banjos and loving old acoustic guitars, Pharis & Jason Romero have a classic story. When some scratchy old records and a custom banjo led to their meeting in 2007, they quickly knew they were in for the long haul. They've since released five records - with a sixth coming out in May 2018 - and toured across North America and the UK. They've won a Juno award, been featured on NPR Music, CBC, BBC, and Folk Alley, and have performed on A Prairie Home Companion and CBC's The Vinyl Cafe. They are passionate teachers and believers in many things folk, and their heartbreakingly harmonic live show is an ever-evolving and never-ending quest for good songs and beautiful sounds. Pharis is Artistic Director for Voice Works, a workshop for singers, as part of her work as a diverse singing teacher; Jason instructs all styles of banjo playing, especially old-time three finger playing. May 2018 brings a new release from the duo. All originals, with light, love and time leading the themes, it's a record that sounds like over a decade of playing and listening together. Part duets and part featuring guests, it’s Pharis & Jason at their very finest, their most open, and their most givin’ ‘er. Primarily recorded in Horsefly, BC by John Raham, it's produced by Marc Jenkins and features musical guests and a choir of family & friends. The new record follows up on the critical acclaim of 2015's A Wanderer I'll Stay. Called "sublime" (NPR) and "brilliant" (BBC), it won a 2016 Juno Award, a Western Canadian Music Award, and was nominated for an International Folk Music Award and four Canadian Folk Music Awards. The title track was 2015's #1 most-played song on the Folk-DJ Charts. Pharis & Jason are joined by Josh Rabie, a multi-instrumentalist and vocalist who has performed over the years with the The Brothers Comatose, Water Tower Bucket Boys, The Stumptown Aces, and The Crooked Jades. From Portland OR, he’s now based in La Crosse WI, and is a sought after bluegrass, old-time and cajun wherever he goes. Josh is featured on the Romeros last two albums, and the Alaska Folk Fest is the first time this trio will perform live together! They’re all anticipating it like crazy.